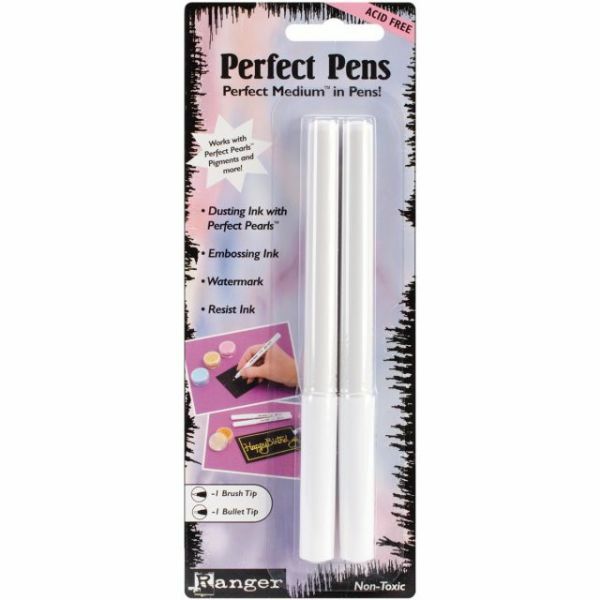 Perfect Pens Set 2/Pkg - RANGER-Perfect Pen. Perfect Medium in pens! Works with Perfect Pearls Pigments and more! 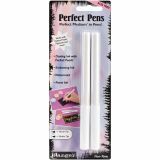 Perfect Pens work great as a resist ink, embossing ink and watermark too! Great for scrapbooking, card making and paper crafting! This package contains two acid free pens: one Bullet and one Brush. Made in USA.